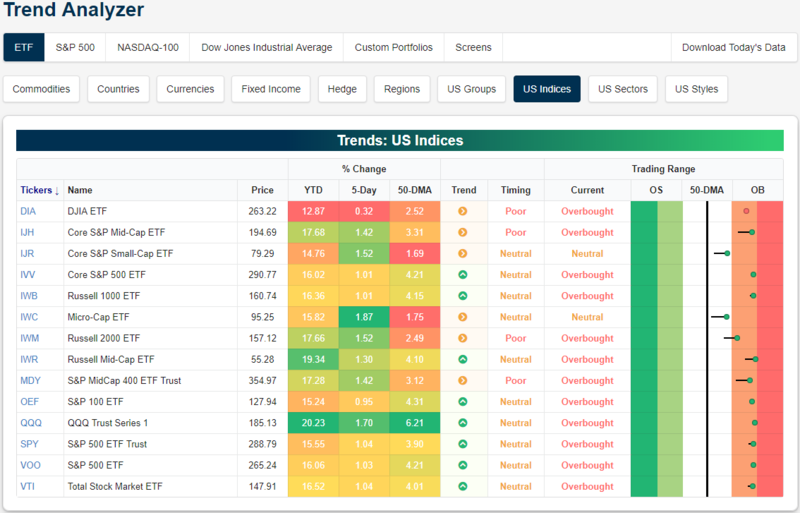 The Dow (DIA) has lagged other major US indices over the last week due once again to weakness from Boeing (BA), which was downgraded yesterday. Turning to overbought/oversold levels, the Core S&P Small Cap ETF (IJR) and Micro-Cap (IWC) are still neutral while all others are overbought with most nearing extreme levels (>2 standard deviations above the 50-DMA). 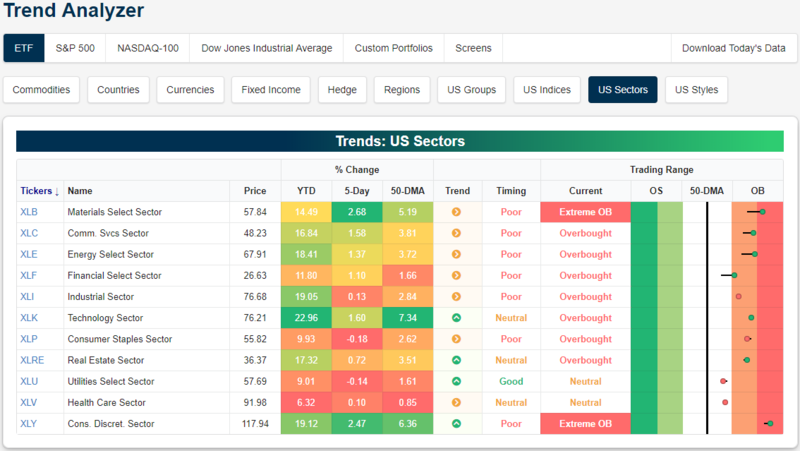 Start a two-week free trial to Bespoke Premium to access our Trend Analyzer tool and much more. While the major indices may not have reached extreme levels, both the Materials (XLB) and Consumer Discretionary (XLY) sectors have done so. Two others — Communication Services (XLC) and Energy (XLE) — have been pressing closer as well. Most others are also overbought with the exception of Utilities (XLU) and Health Care (XLV).